When Morgan contacted me to be apart of an English garden themed shoot I fell in love with the vision. I was so excited to work along side her and the teams vision. When I saw these final images, it made me want to get married all over again in this dreamy world. 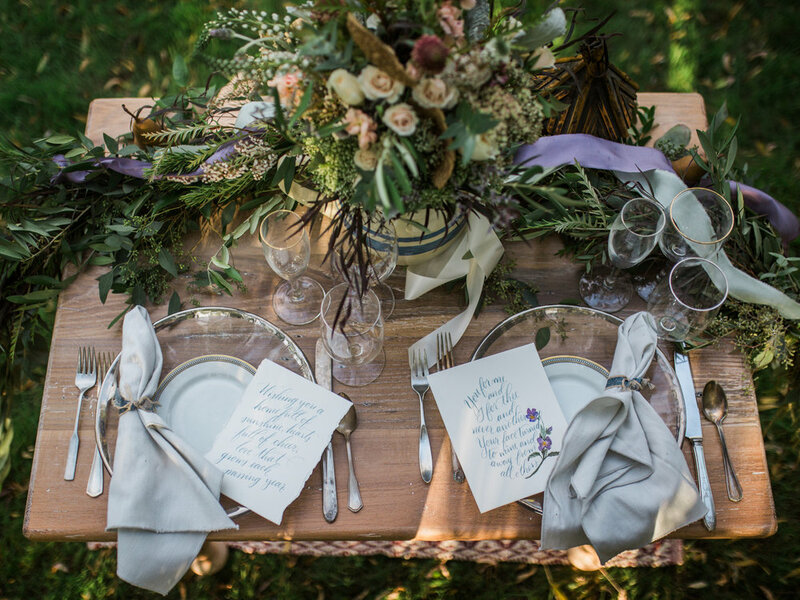 With a Gaelic/English Garden inspiration interwoven through out the shoot, I had the opportunity to help create the invitation, as well as a few proverbs that adorned the table. Sweet and simple with violets and grey ink, the deckled edges of the paper was the perfect last touch to bring this old world invite to this lush, modern setting. I loved creating the delicate hand-drawn violets for both the invitation and this Irish proverbs. 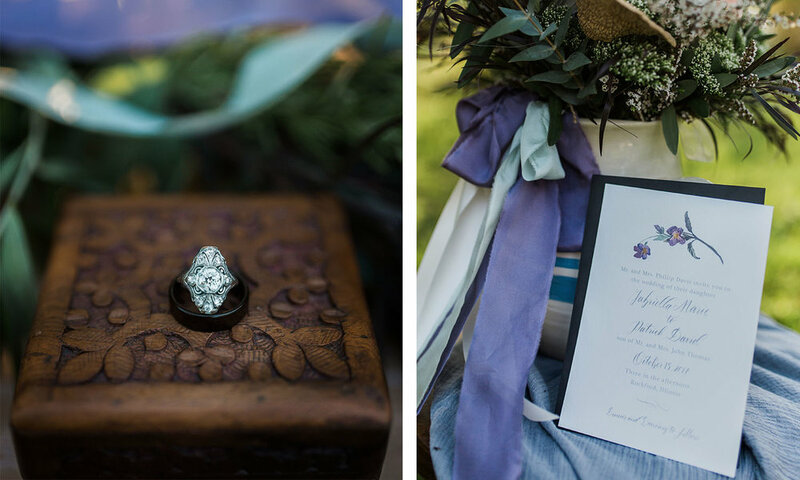 The grey-blue ink was the perfect compliment to this gorgeous outdoor affair.